The DVD version I have is one disc (the movie) and another disc of photos that comes in a cardboard sleeve. 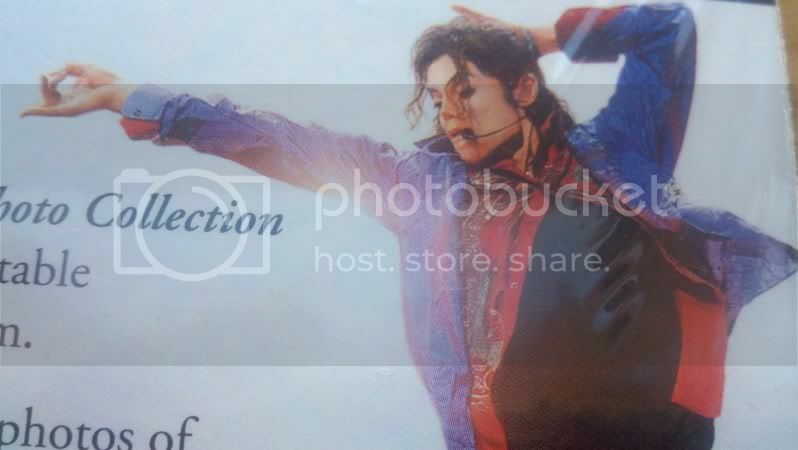 On the back of this cardboard sleeve is a picture that is 100% hands down obviously NOT Michael Jackson. Can you show us the picture?? Yes, absolutely. I'm at work right now, so I'll have to do it when I get home. Unfortunately though, I do not have a scanner at home so I will have to use the camera on my phone. I'll do my best to get the best picture possible. Check back in a few hours. 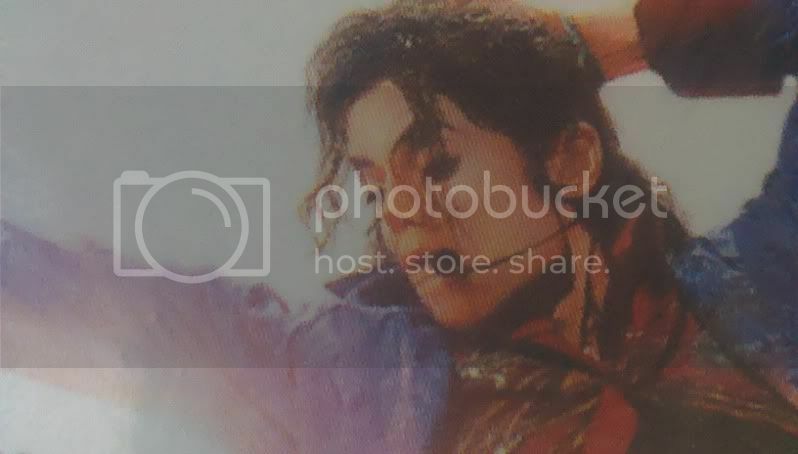 b) Michael Jackson with major photoshop or airbrush on his face. That is 100% Michael Jackson. I think it could be him but the photo was heavily airbrushed either way, and I think that's why it's being questioned in the first place. sorry, but i think that's him :? its him, thats a screenshot right out of the movie, i remember seeing him the moment he made this pose when you watch the movie too ;) its during TWYMMF i think. IMO there's a lot of shadows, the mike and his hair, being in the middle of an extreme grimace, and photoshopping have slightly distorted his look, but I agree it's him. The elegance of the hand movements and pose is definitely Michael, imo. I notice little things, like the wrist, tip of the nose, the eloganted and beautiful extension of his pinky finger. All looks like Michael. Michael has the ability to make his poses look so full of electricity without overdoing it and this is a signature 100% Michael pose. 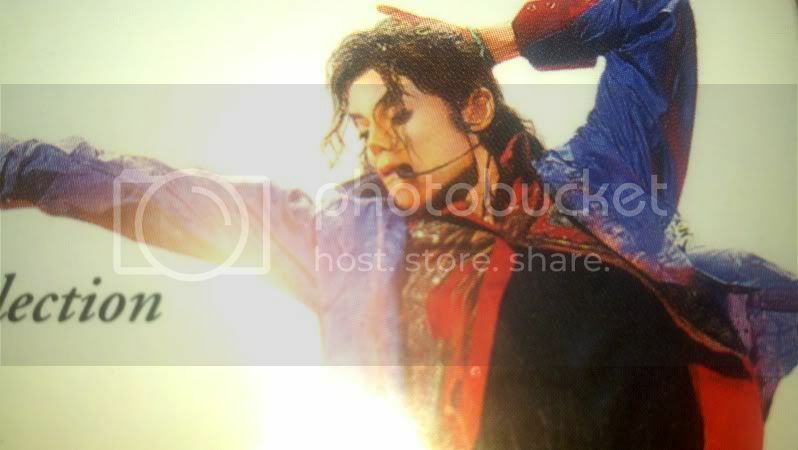 Maybe it's heavy make-up or maybe airbrush, but I think it's Michael. anonJedi , I thought the same thing...and mentioned it in another post...but I also believe it is an airbrushed pic....cheers. Or do we think he's sick or not. Oh no please! That is Michael. I think picture just very photoshopped.